I am so thrilled! Thanks Bowie Style for posting my project in Print & Pattern! This blog is huge when it comes to surface pattern, so I am honoured that she acknowledged my project. By consequence I had a great response from people all over the world, in particular Leanne Carpentier, she wrote a great post about my blog, thank you so much! It is really rewarding when also fellow designers appreciate and value your work. All the praises keep my spirits up and renew my energy to keep doing it! 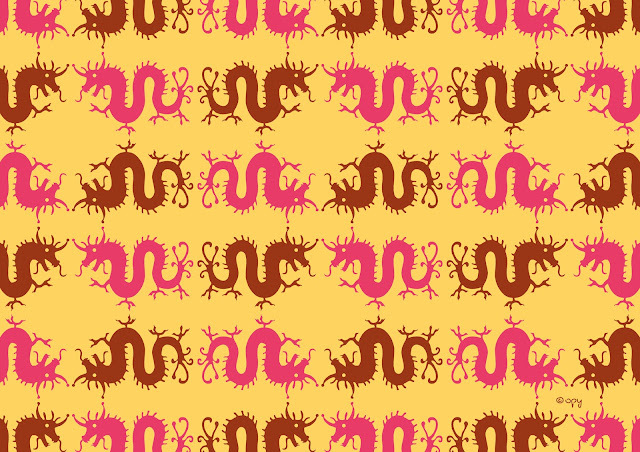 For this week pattern, you probably have already figured out why I've chosen a dragon: the Year of the Dragon, well not only that, this week, here in NZ, The Girl with the Dragon Tattoo, is opening in theatres. I've been waiting anxious for this movie since I found out that David Fincher was going to direct it (he did the Fight Club so I know he will not disappoint), also Daniel Craig is eye candy bonus. I read the books and watched the Swedish movies, both awesome, I am pretty sure they are not going to ruin his "american" version, however I doubt Mara could match Noomi Rapace performance (she nails the role) but I guess her Oscar nomination could prove me wrong. 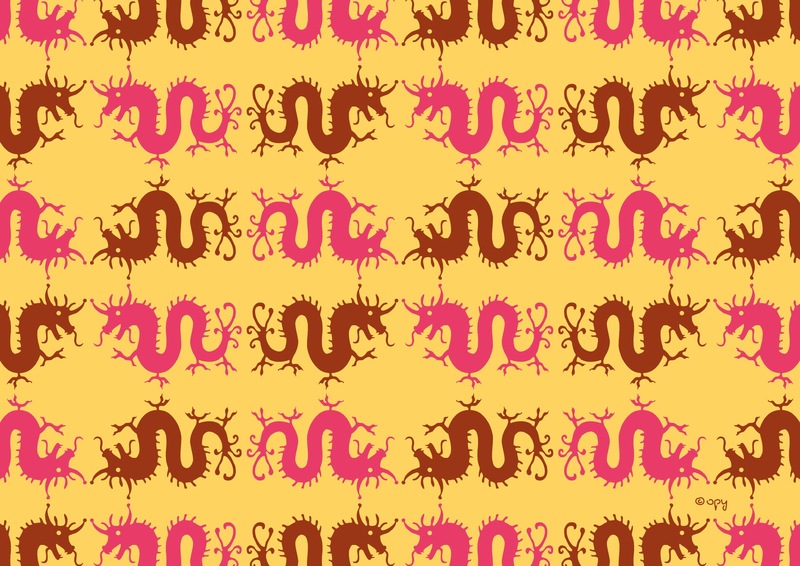 May you have luck when you see this pattern, as the Year of the Dragon is considered the luckiest year in the Chinese Zodiac. We love your blog Opyyyyyy!